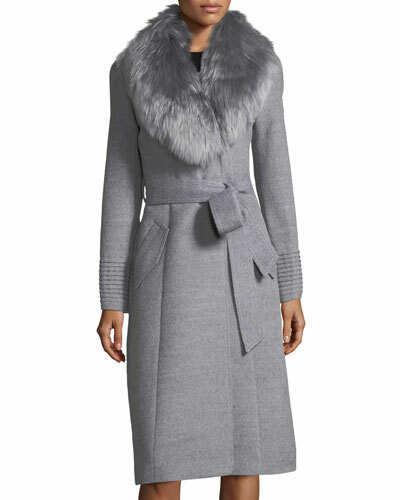 Walk down the streets in style during chilly months in Neiman Marcus’ stylish wool and cashmere jackets and coats. 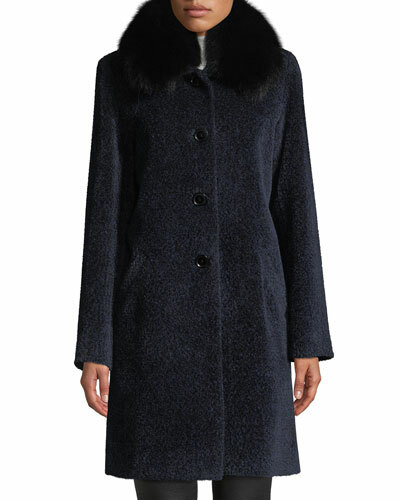 Here, you get to choose from a wide selection of long woolen coats, crafted by the world’s top designers. 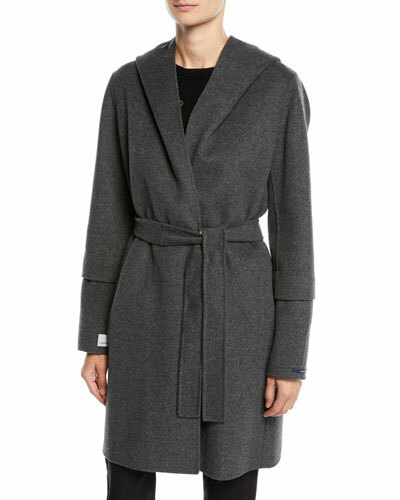 Whether you’re going shopping or heading to a party, wrap yourself in warmth with one of our women’s designer coats. You can go for a shawl-collar, kimono, or zip-front jacket to keep the look graceful. 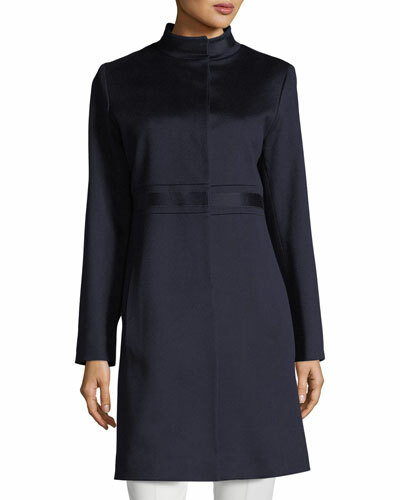 Our fitted three-button colorblock wool coat is perfect to add a dash of glam. Looking for something different than the usual? 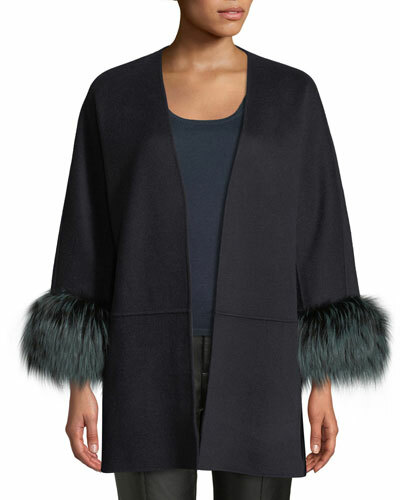 You can select the fur-collared women’s cashmere coat to flaunt a chic style. We offer you designer coats and jackets that are made from fine quality wool and cashmere to ensure the ultimate in comfort. 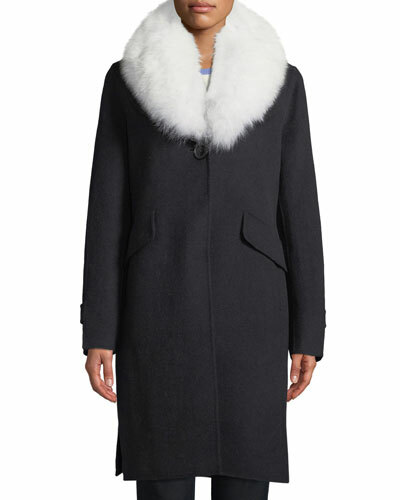 Shop Neiman Marcus for the right jacket or coat, and keep yourself cozy when it’s cold. 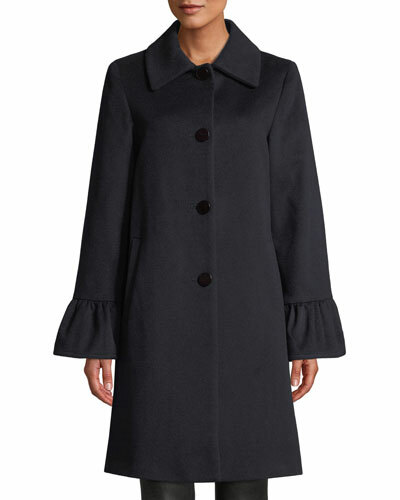 Fleurette top coat with large buttons. 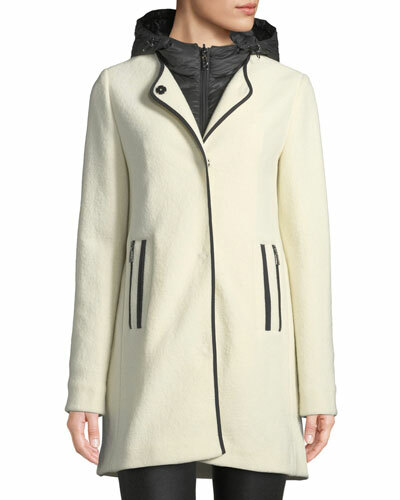 Funnel neck; two-button front. Long sleeves. Side slip pockets. Standard silhouette. Below-hip length. 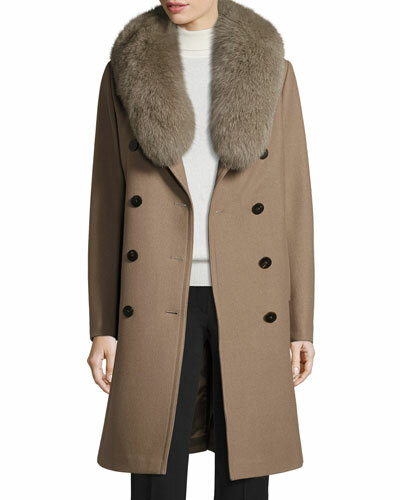 Loro Piana™ wool. Acetate lining. Dry clean only. Made in USA of Italian material. Model's measurements: Height 5'10"/177cm, bust 33"/84cm, waist 25.6"/65.2cm, hips 35.8"/91cm, dress size US 2-4/FR 34-36. 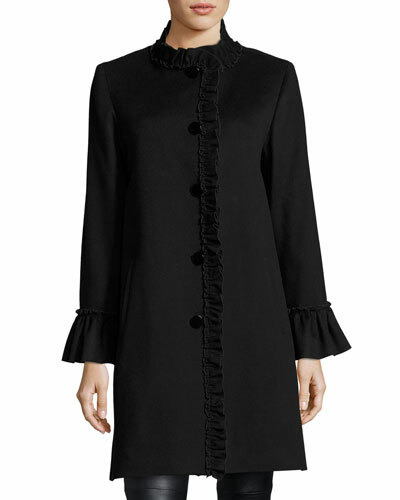 Fleurette long coat with self-tie wrap. Approx. 45"L from shoulder to hem. Notched collar; open front. Long sleeves. A-line silhouette.